Secretary General of the Liberal Party, Kamal Nissanka issuing a press release states that party has not signed a Memorandum of Understating (MOU) with United Peoples Freedom Alliance.(UPFA)). He further states that though the party supported the common candidate at the last presidential election, with resurgence of forces representing former president Mahinda Rajapaksa to enter into politics through UPFA , party was divided in its opinion and was in a dilemma as to choose what sort of a political line to be followed. Party notes that one of national committee members in the absence of a MOU has attempted and succeeded to place his name in the national list of UPFA. In the absence of a duly signed MOU inclusion of Dr. Rajiva Wijesinha’s name in UPFA national list has created number of debating issues within the Liberal Party. Secretary General of the Liberal Party says; “Further, Dr. Wijesinha’s shifting of allegiances from various political alliances within a very short period, first to Maithri – Ranil combination, and then to criticize Ranil and the attempt to show as a Maithri supporter and then indirectly to praise Mahinda Rajapaksa and then directly align with the Rajapaksa camp caused much tension in the Liberal Party. 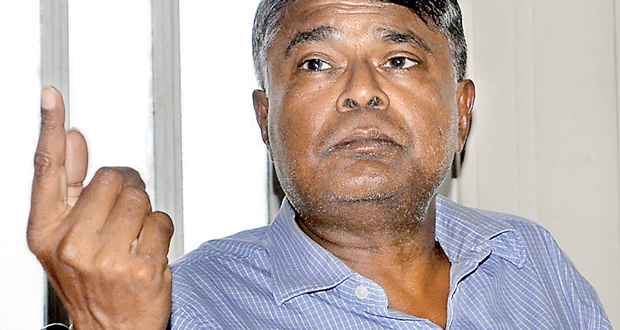 Nissanka further states “that though Dr. Wijesinha was the leader of the Liberal Party for 2014, the party has not duly elected a leader and a national organizer for year 2015 and therefore he remained a national committee member in 2015 at the time of inclusion his name in the UPFA national list. Liberal Party may elect a leader and national organizer in due cause.